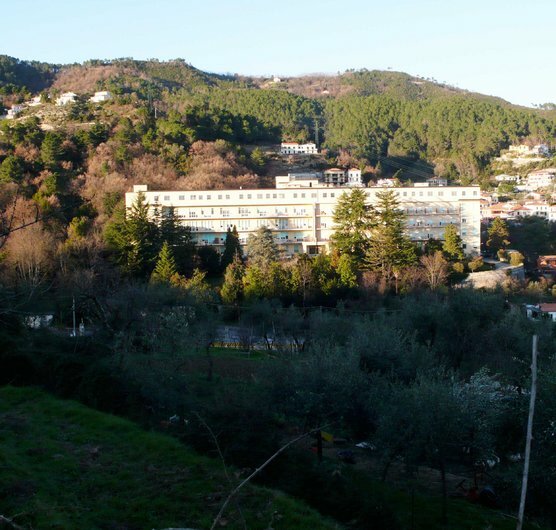 We have been appointed to design a major general hospital for the Liguria region, located on a panoramic site amongst olive groves above the town of La Spezia, Italy, with Italian engineering company Politecnica and healthcare specialist Dott. Gemmi. The project will replace the existing local Felettino hospital with a new much larger 75,000m2 general hospital which when complete will also combine the services of La Spezia's San Gabriele Hospital allowing its city centre site to be redeveloped by reuse of the existing listed buildings. Hopkins brings a wealth of hospital experience to the La Spezia project, including its award-winning work at Guy's & St Thomas' with the Evelina Childrens' Hospital and the world-leading Ambulatory Cancer Centre at UCLH, the first of its kind outside the United States.